The Hockey Theme was an iconic musical piece that opened the CBC’s Hockey Night in Canada television broadcast for 40 years, from 1968 to 2008. It became instantly recognizable throughout the country and impacted generations of hockey fans, creating pre-game excitement. In 1968, the CBC commissioned McLauren Advertising to create a catchy tune that could be used to introduce Hockey Night in Canada. Dolores Claman, a classically trained composer who had never seen a hockey game, was chosen to write the song, while Jerry Toth orchestrated the piece. Claman, who suggested that her creative inspiration was “gladiators wearing skates,” created a grand dramatic score for a 21-piece orchestra with dynamic and fast movements. 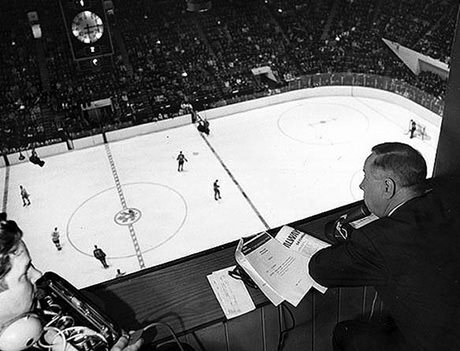 The Hockey Theme became one of the longest-running theme songs in broadcasting history. The song has been referred to as Canada’s second national anthem.